I am always in the look out for inspiration and I always go to where my heart is closed to, my country and my culture. This week I had to create a ring for my ring a week challenge and I was not very motivated, when this happens I go back and take a look at my work from other years and see if something calls my attention. 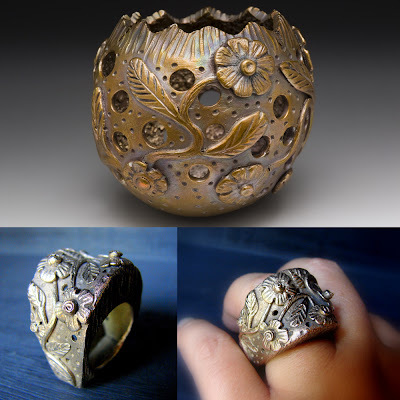 Looking at my pictures was a good source for inspiration, and when I saw the first bowl I made with bronze clay I knew I had my inspiration for my ring. 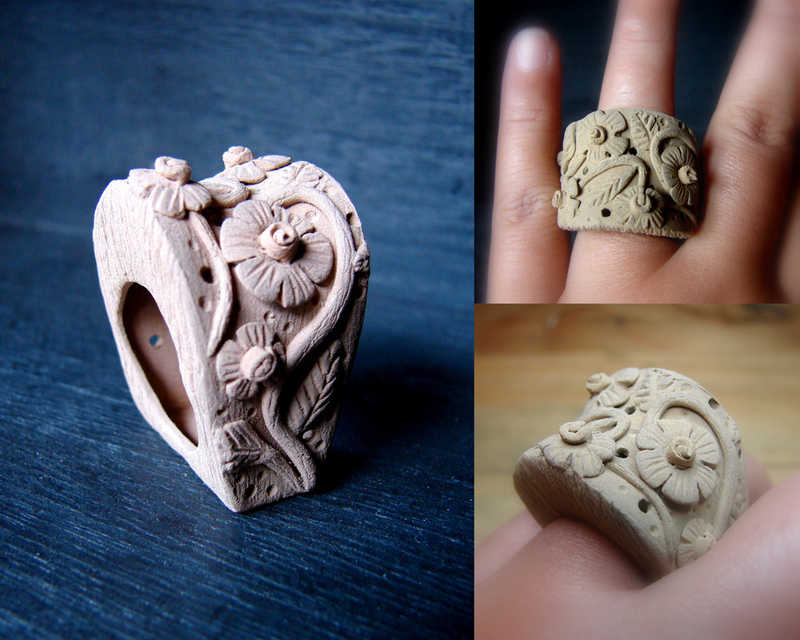 I hand sculpted and carved this ring with FastFire Bronzclay. This is a collage images with my ring after it was fired in the kiln and my bronze bowl who was my inspiration. This bowl was made inspired in my big love for the folk art in the beautiful state of Oaxaca, Mexico. What do you do when you are looking for inspiration? 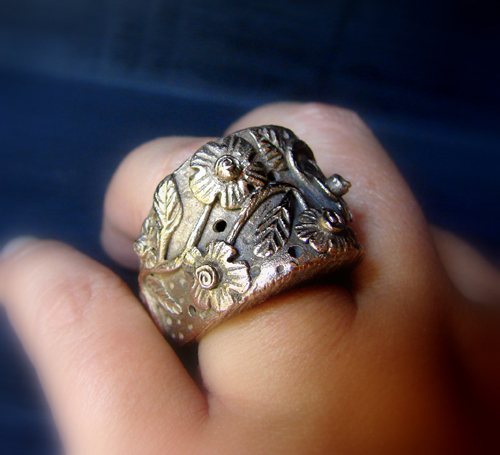 You are the most amazing artist -- I feel humbled whenever I post on your blog, totally not worthy. But since you asked -- inspiration. When I need inspiration, I flip through graphic designer color palette books. Since I work mostly in lampwork glass, color speaks to me in ways that other things don't. I love seeing how different people put different colors together, and I get the best ideas from flipping through those books. I do not like that you feel humbled. We all are different and unique in our own ways and our art is the same way. You work is beautiful and full of color. Thank You for you nice compliment about me, I feel honor and happy that other artists appreciate what I do with all my love. You are fantastic, and it comes through every piece you create. You blogs, posts, and work always make me smile, it's hard to not feel the love spilling out of everything you do. You rock lady! I totally see your influence in nature, your work is so beautiful and I am sure your leaf series will be as gorgeous as your Pods ! Thanks for posting in my blog and sharing with all of us.